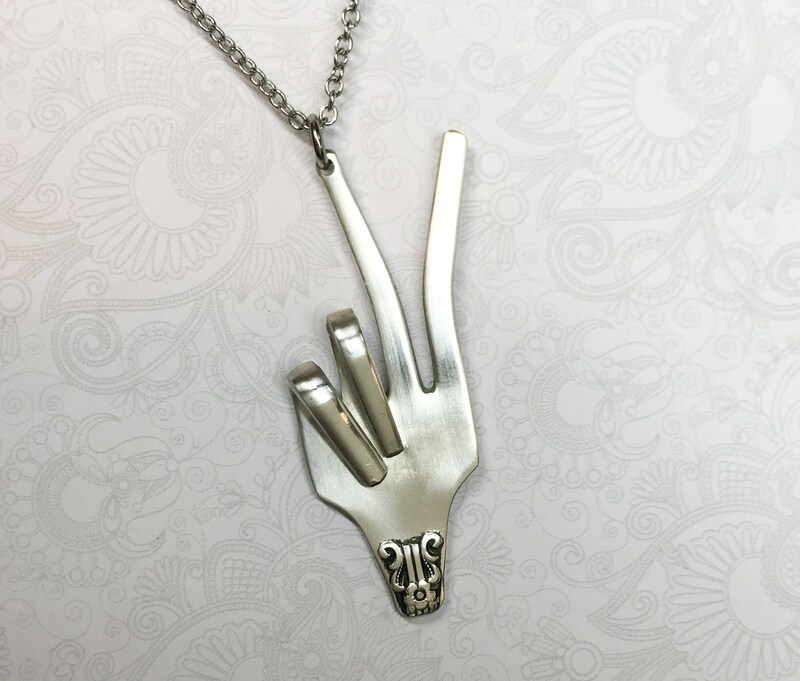 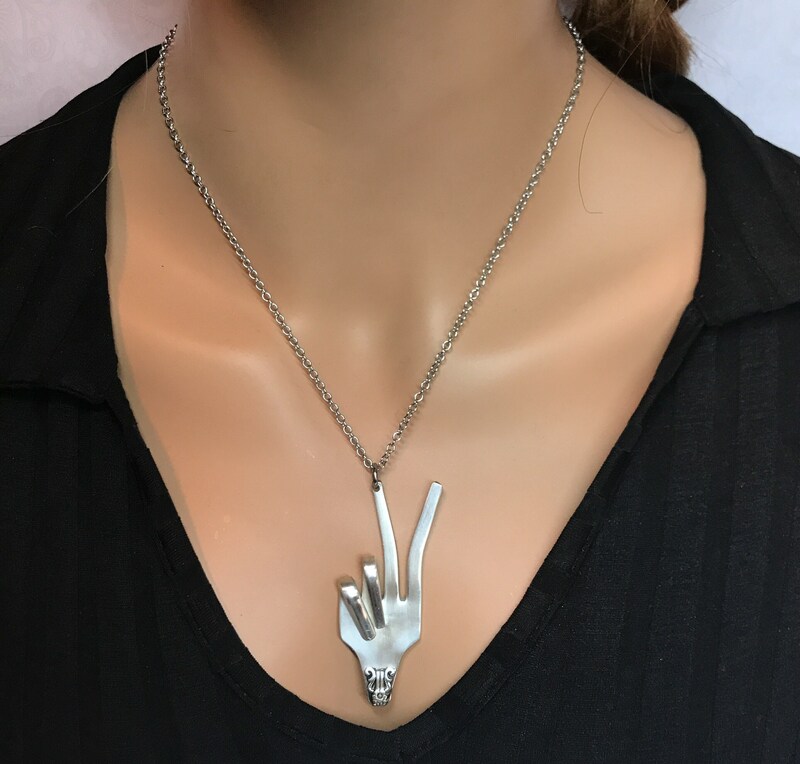 This peace sign fork necklace was crafted from a vintage silverplate dinner fork. 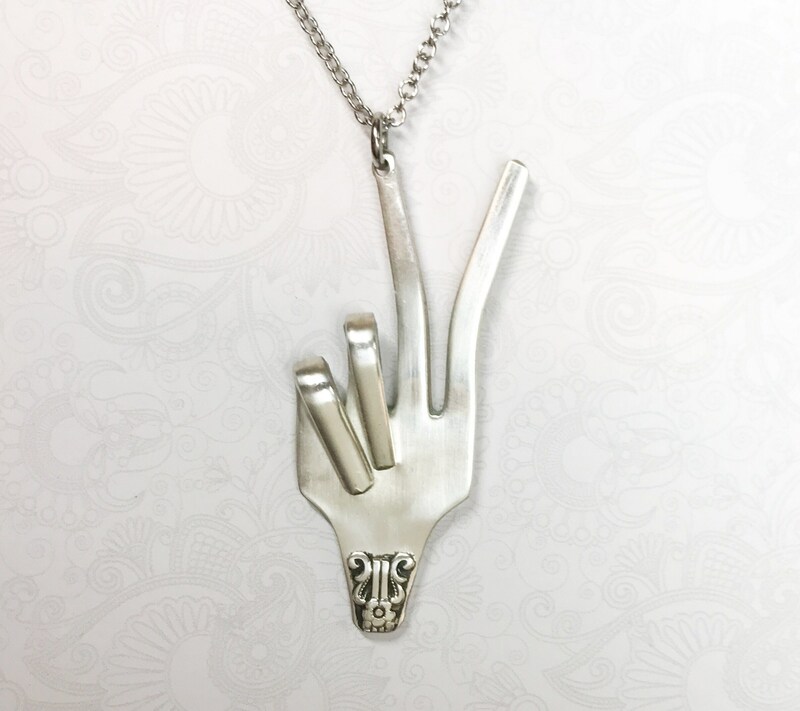 It measures 2.5" from the tip of the fingers to the end of the wrist. 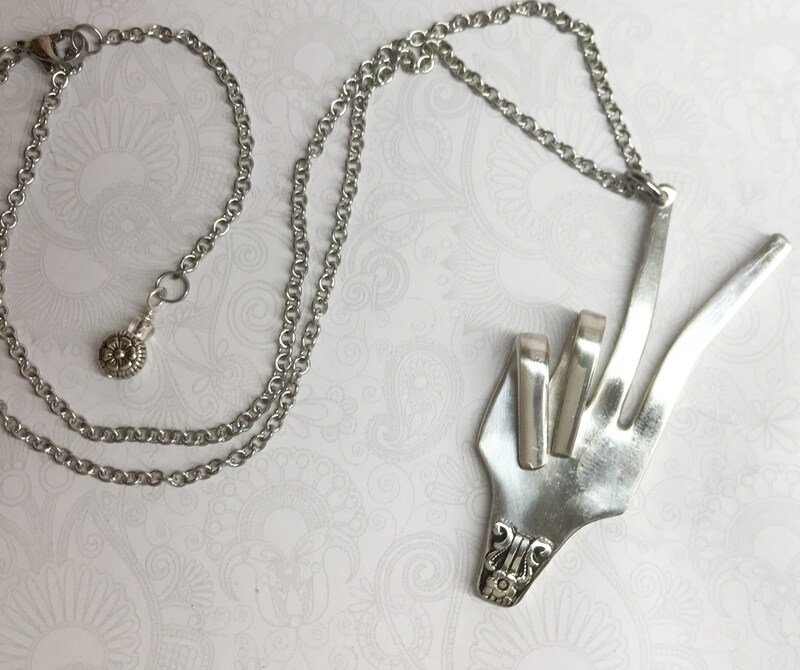 It's shown suspended on an 18" steel chain with soldered links, and a 2" extender. 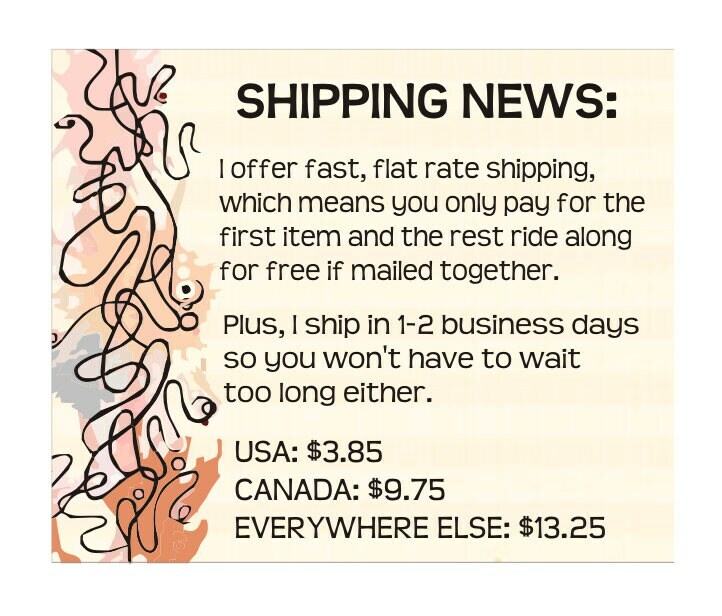 If you'd like a different length chain, just choose your favorite length from the dropdown menu at checkout. 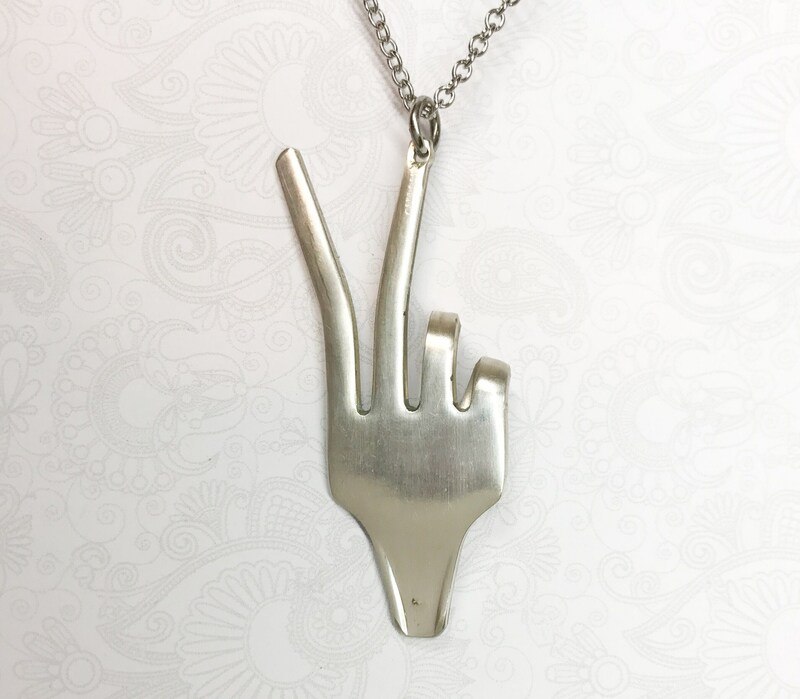 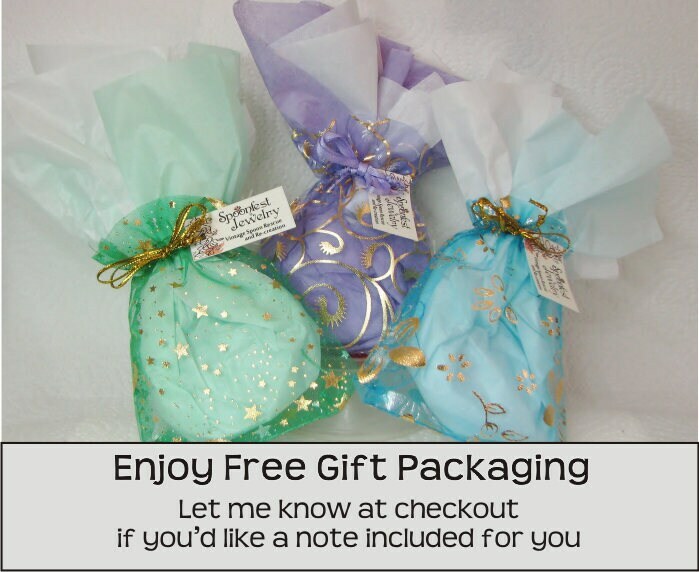 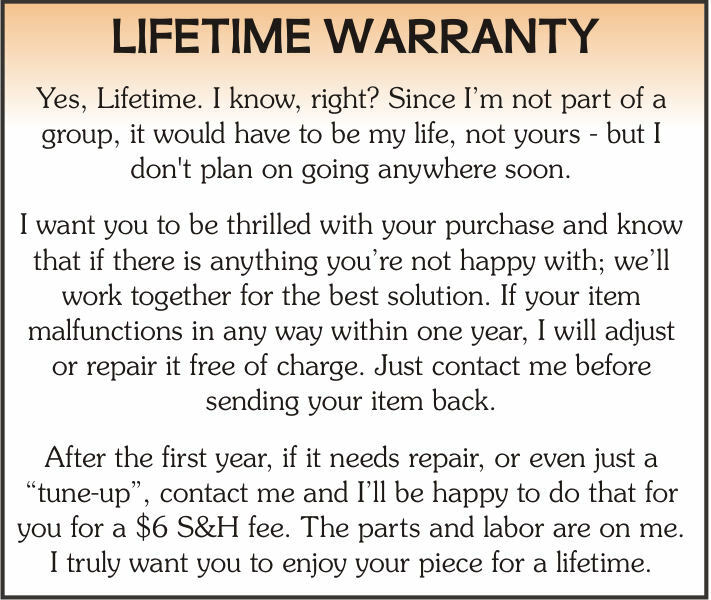 Your fork necklace will arrive festively packaged; along with a Spoonfest Jewelry story card.